The start of tourism goes back to the year 1967. During this period the Israelis occupied the Sinai and built military bases. 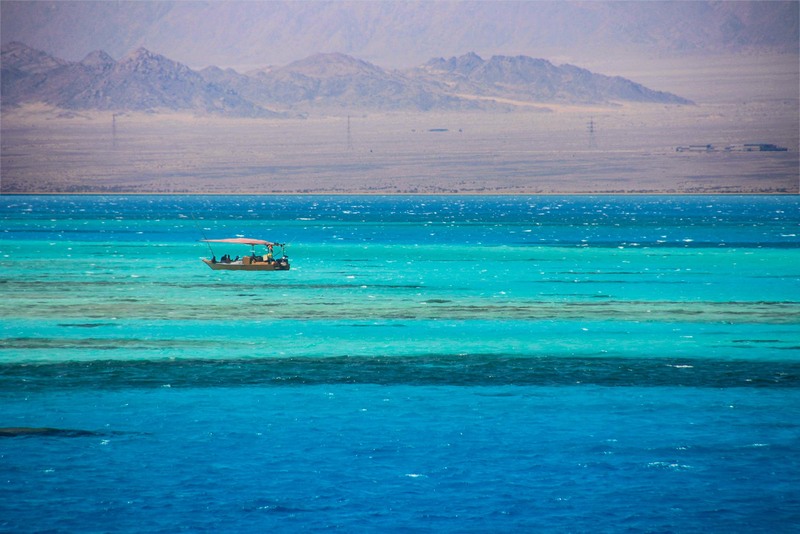 They were also the ones who built the coastal road from Eilat to Sharm. In 1982 Sinai was returned to the Egyptians, which immediately began to rebuild tourism. The tourist metropolis of the entire island is Sharm El Sheikh, located at the southern tip. The local hotels were built around 2004. Sharm – as it is called by most tourists – is divided into three parts. The district of Nabq is located geographically, north of the airport. Directly at the airport is the Sharks Bay where you can find our diving school. The central point is certainly Naama Bay, where you will find a vibrant nightlife. This bay is about 10 km south of the airport. The southernmost point is called Sharm El Maya or downtown Sharm. Here are the city administration and the military. This is also the district where most of the locals live. It is noticeable that hardly any Egyptian women live in Sharm. Know that the married women live in more favorable places and you as a tourist therefore mainly meet men. Especially recommended is the Old Market. This center of commerce reflects even today the old-Egyptian flair, where craftsmen and other service providers do their business. There are numerous banks in Sharm and Naama Bay. The Banque Masr, the Bank of Alexandria, the National Bank of Egypt, a branch of the Egyptian American Bank, Thomas Cook Bank, CIB, HSBC and many others are represented. In the foyers of numerous large hotels are ATMs, which can be used with the usual credit cards. With us you can pay with Mastercard or Visa card. As convenient as it is to pay this way, it is also the most expensive variant. The charges for credit cards can vary extremely. Egyptian banks charge fees between 3.8% and 5%, of which we charge 3% on our price. In addition, additional bank fees may be charged. The reason for the additional charge is because the costs arising from the required currency conversion costs for the issuer of the card. If an additional international service fee is charged, this amounts to one-half to two percent of sales. In this way an additional indirect fee may arise if the exchange rate between the date of the payment and the date of the conversion changes to the disadvantage of the customer. A credit card payment can thus amount to up to 10% of the actual purchase price (!). Therefore our recommendation: pay cash is better. Slightly cheaper than credit cards is using the normal debit card with 4-digit pin. Usually the charges are 3 € and you can pull up to 3000 Egyptian pounds at the ATM per day. Traveler checks are only cashed by banks. The payout is made in Egyptian pounds except in the Thomas Cook Bank. Some banks even charge a redemption fee. As a rule, exchange transactions are charged with a commission fee of 1% of the value of the sale. We accept euro, dollar, pound sterling and, of course, Egyptian pounds. If you plan to take American dollars with you, make sure that they are in mint condition. Only a small spot on the paper and no bank will exchange such notes. Amusing when looking at the state of the Egyptian notes. Please try to pay as much as possible in the national currency. He who pays the taxi driver in euro will lose money. Please don’t exchange money at the hotel desk but at a real bank. To enter Egypt, EU citizens require a passport with a validity of at least six months beyond the date of their return. If the passport is not valid, a new passport can be obtained at your local Registration office if necessary Express (of course with extra charge). Check with your local registration office. You can also enter with an ID card and two passport photos. 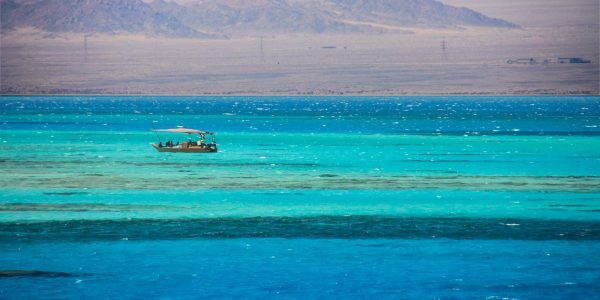 For a stay in Sinai, not extending 2 weeks, since 2016 no full visa (25 USD) is needed. This also applies to Ras Mohamed National Park, trips to St. Catherine monastery, Moses mountain or Nuweiba. Important though: the visa is still required for trips to Thistlegorm and flights to Luxor or Cairo. As then one leaves Sinai and is subject to other laws. Also for connecting flights over Cairo one needs to buy a visa unfortunately, because one enters Egypt outside Sinai, even if one is only in the transit area of the airport. Those who want only to dive in Sharm, just need an entry stamp, obtained at passport control. The basis for this is that you fill in the pink paper, which the crew gives you before landing. You pass this at the passport control and you will get the mentioned entry stamp. Now nothing stands in the way of your full diving enjoyment. This can be requested at the egyptian embassy in your home country. You can also purchase is at the airport in Sharm el Sheikh or Cairo. Many large charter companies fly regularly to Sharm. Package tourist are picked up by a shuttle service from the organizer, hotel or diving center. Individual travelers must take a taxi. The drivers talk to each other and demand prices that are a lot higher than in the rest of Egypt. From the airport to Hadaba you should not pay more than 10 euro. Just stay stubborn! Grab your luggage and leave the airport in the direction of the main road. Normally, blue-and-white minibuses will pass regularly use these and you will pay about 2 LE per person from the airport to Hadaba. This can’t be topped! We have a dry desert climate with daytime temperatures in the summer up to 46 ° C, in winter around 20 ° C. Rainfall is extremely rare, most of it in October to January with an annual average of 25 millimeters. In the coolest months of November to March it can cool down to ten degrees at night with sometimes a cold wind. If you are planning a desert tour or want to go to Moses mountain, you should pay attention to warm clothes and good shoes. Every day sun, 356 days a year. In the summer clouds are rarity. In Europe this is only a dream. There are just as many restaurants and cafes in Sharm el Sheikh as in any other tourist metropolis. This starts with Pizza Hut and Mac Donald to Chinese and Italian to fancy Japanese restaurants. And in between, you can find small and fine local restaurants with original Egyptian dishes. In Naama Bay, the hotel restaurants are lined up on the beach promenade. A tip of maximum 10% is applicable for upscale restaurants. Take this to heart, because many managers complain repeatedly about the way too high tips, which are in no proportion anymore to the food. If you like, you can come to see us and get some tips and our personal favorites. Egyptian cuisine is shaped by different influences. Islam prohibits alcohol and pork. But the near east, Africa, Italians, Greek and even French have left their culinary traces. Thus, it is not surprising that the local cuisine mainly brings vegetables to the table. Baba Ghanough: a savory salad of eggplant and sesame paste. Dessert – sweet is vital! The capital of all sweets is Tanta in the Nile Valley. Essential in Egypt – not only for divers – drink a lot!! At least 3 liters per day. The sun is hot, and due to the low humidity, you hardly notice that you sweat and evaporate a lot of fluids accordingly. Please take care that you only buy mineral water from bottles with the original caps (eg Dasani, Hayat, Baraka). Otherwise there is a varied selection of juices (orange, mango, guava, sugar cane, lemon). Be careful with the last two, as often prepared with tap water. The most popular drink of the Egyptians is Shai – the sweetened tea found everywhere. With milk, peppermint or pure. Strong mocha also has followers, as well as Karkade, a hibiscus tea, which is drank cold and warm. And because it’s always so nice to hear a hiss after diving – a sparkling beer made by a domestic brewery – a fresh Stella or Sakkara beer is highly recommended.